People will do anything, no matter how absurd, in order to avoid facing their own souls. They will practice Indian yoga and all its exercises, observe a strict regimen of diet, learn theosophy by heart, or mechanically repeat mystic text from the literature of the whole world – all because they cannot get on with themselves and have not slightest faith that anything useful could ever come out of their own souls. Thus the soul has been turned into a Nazareth Gradually from which nothing good can come. 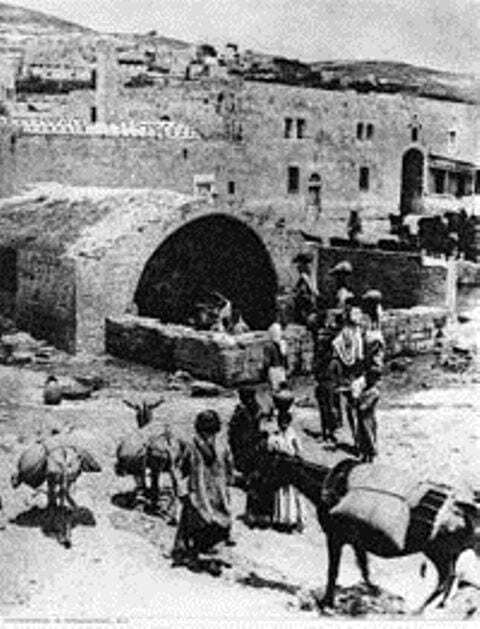 Image: Mary’s Well in Nazareth.